Aerial view of Exeter featuring trees, resential homes and a blue sky with clouds. 4k00:21And aerial view of Exeter with blue skys panning from left to right. 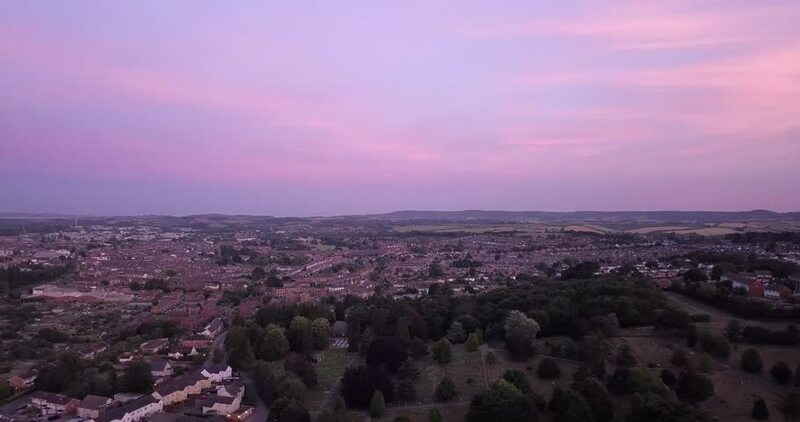 4k00:18Panoramic aerial view of Exeter in Devon featuring trees and residential homes. 4k00:42Amazing aerial view of beautiful sunset over the small country town. Green fields and tall trees. Nature / town landscape. 4k00:284K aerial view – flight over highway. hd00:15Aerial view on eastern settlement in autumn noon light. Average rural view.